Trout Lake is another gem right in Blowing Rock residents’ back yard that many tend to overlook. If you relocate to our beloved region, do yourself a favor and visit this soothing setting before you put it out of your mind. It may become a destination you frequent for some peace of mind or a day of fishing. Any reason is reason enough to spend some time near a body of water. Trout Lake is a part of Moses Cone Park and offers visitors a place to appreciate the simpler things. The one-mile trail is friendly for runners, avid walkers, and those who want to take a stroll. You may see some wildlife, but you’re sure to see an impressive display of flora and fauna. Many bring their cameras, but it’s perfectly fine to leave yours at home and just take it all in. If you live close enough, you don’t need a special occasion to visit. Take a trip on your lunch break, come early on a Saturday morning, or enjoy an evening waiting for the stars to appear in the water’s reflection. Whether you tour Trout Lake once or monthly, you’ll be glad to have it nearby. It’s merely one of the innumerable attractions Blowing Rock affords. Once you establish your home here, you’ll slowly start to discover more and more of its prized possessions. Not knowing about them upfront may not be ideal, but at least it allows for the newness of your future home to last. 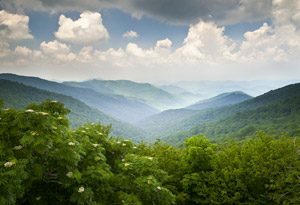 If you like what you see and know now about Blowing Rock, enough to invest in its real estate, you’ll be even fonder of your hometown once you get settled. 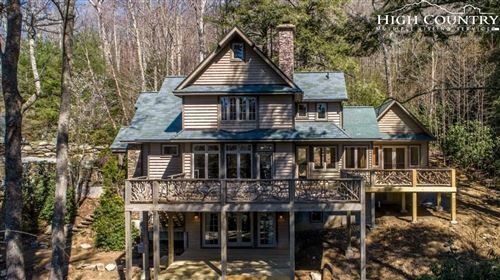 The Mountain Group at Premier Sotheby’s International Realty is a leading firm that diligently and passionately serves the High Country. We can introduce you to all local listings, and acquaint you with the area. An informed client is a client equipped for success.